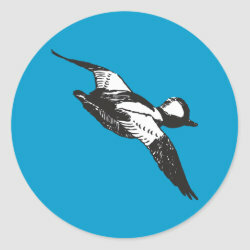 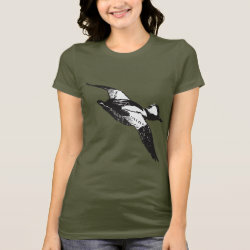 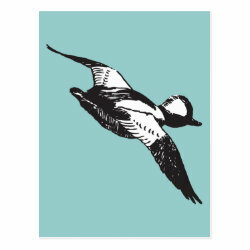 This is a fine black-and-white sketch of a Bufflehead in flight. 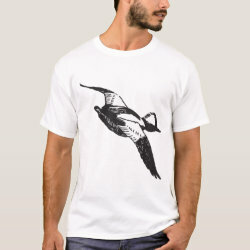 The male duck banks in this drawing, evoking movement in its strong flight. 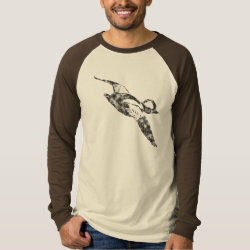 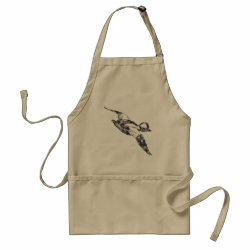 The illustration is distressed for a vintage look on some products.